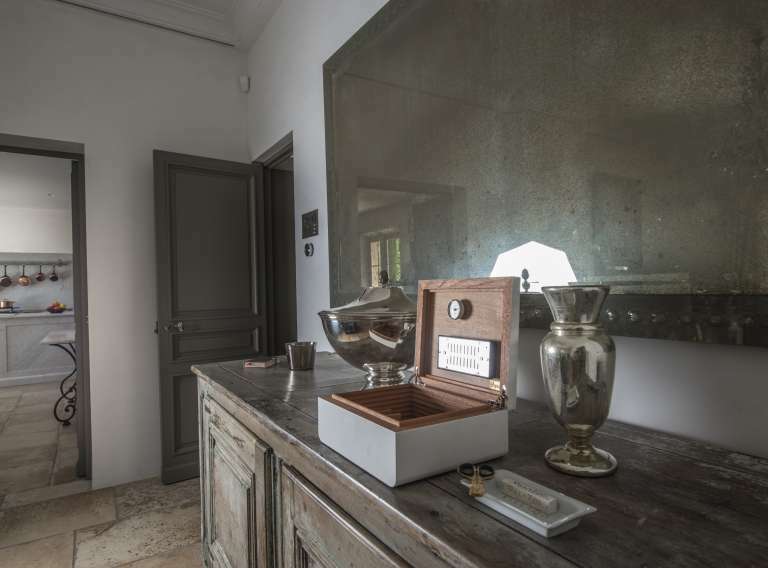 With its stone-clad façade, traditional tile roof and formal gardens, Le Mas d’Anna welcomes you with that irresistible Old World charm. 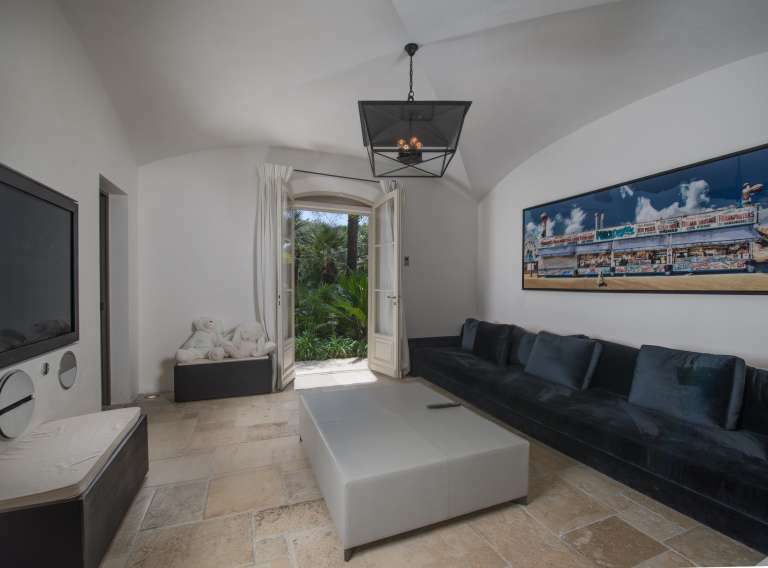 Enter from the flagstone courtyard and within you’ll discover modern upgrades with no loss of this villa’s original Mediterranean essence. 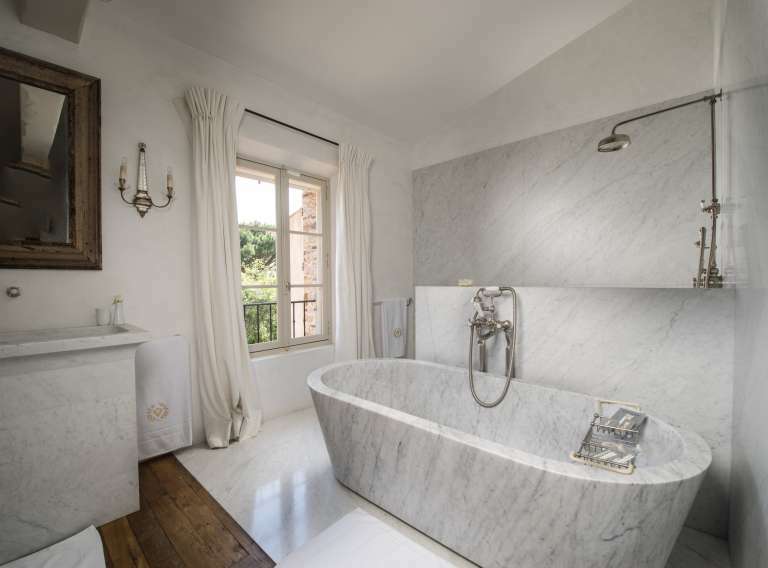 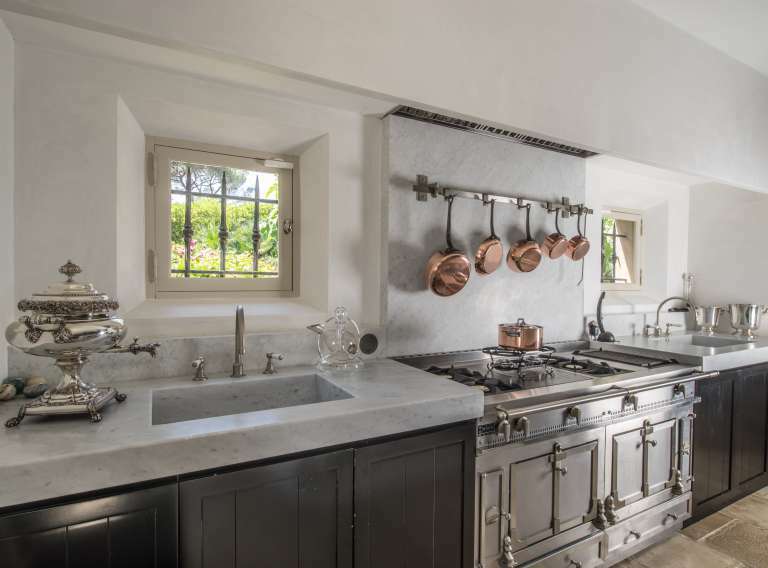 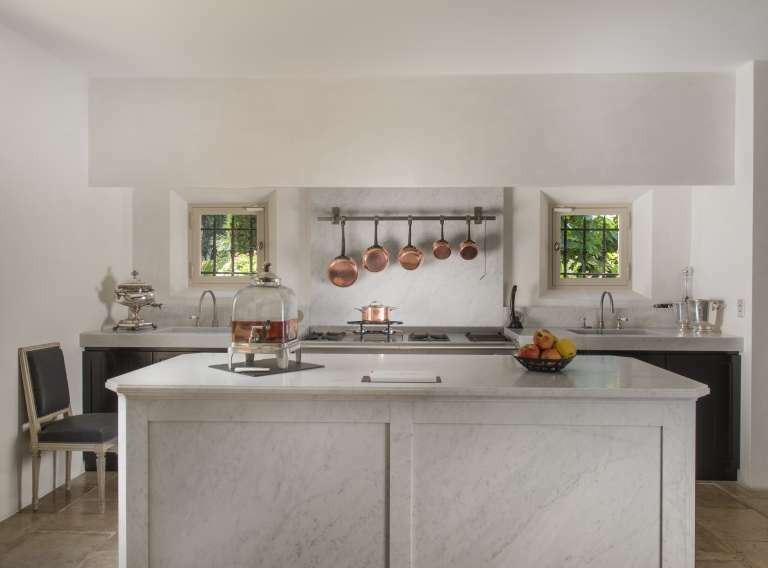 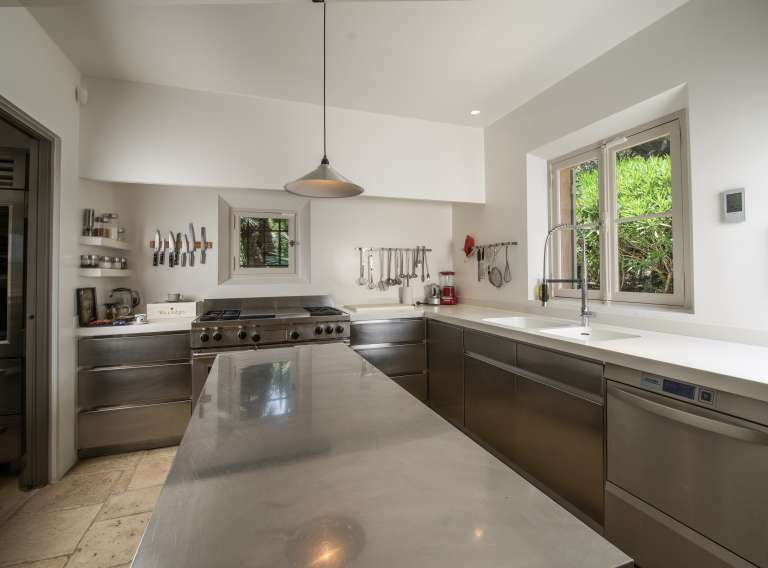 Generous use of Carrara marble in the kitchen and bathrooms lends an elegant air. 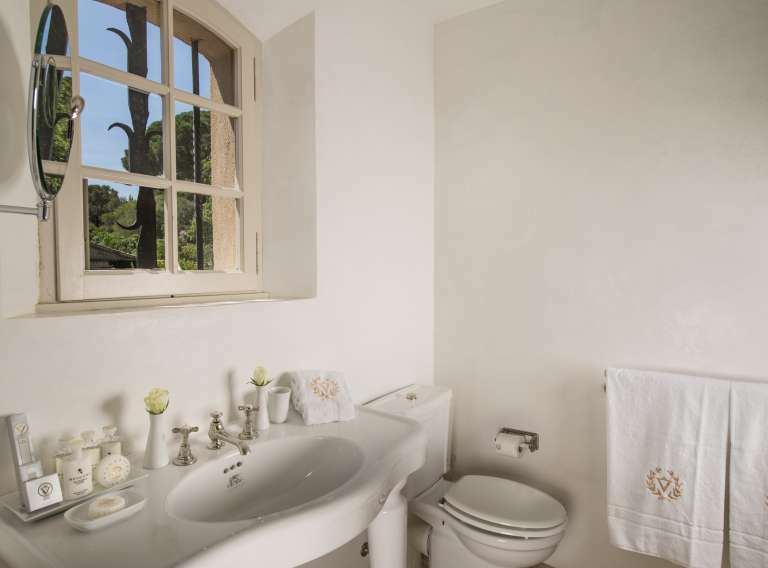 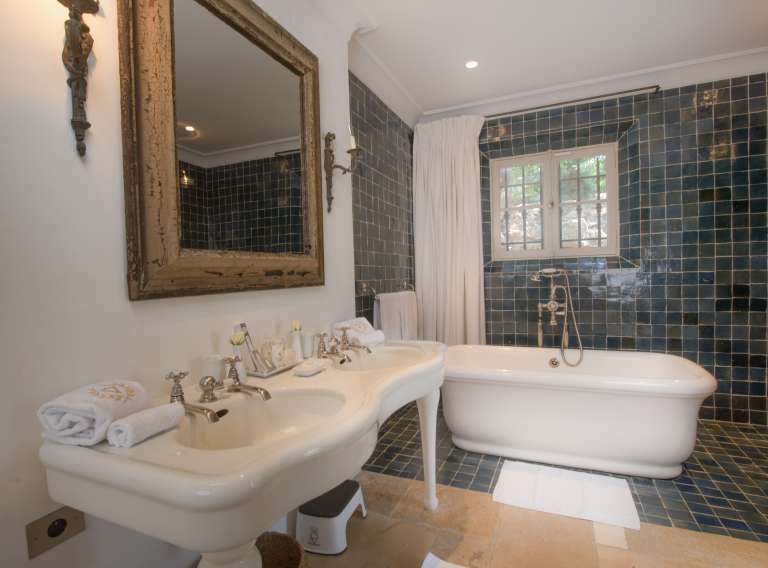 Villa Anastasia boasts seven comfortable bedrooms plus a day room adjacent to one of the bedrooms ideal for parents who want a young child nearby. 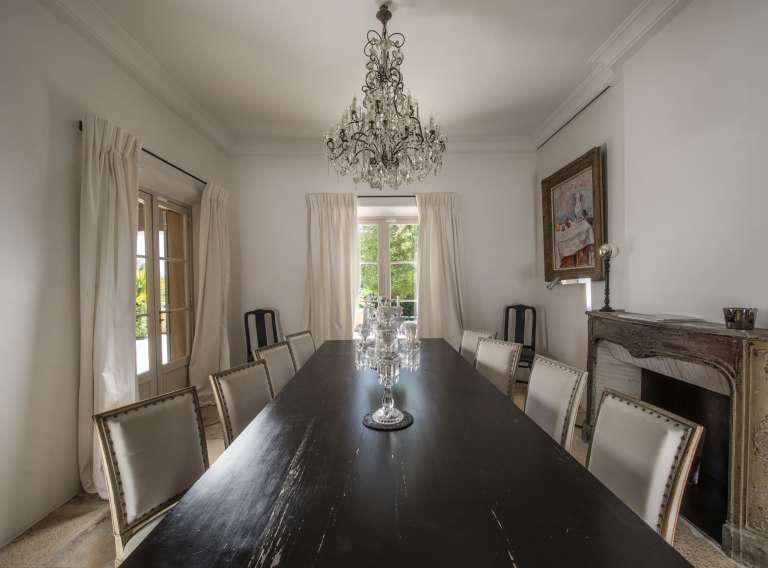 Enjoy the formal dining room off the upgraded gourmet kitchen. 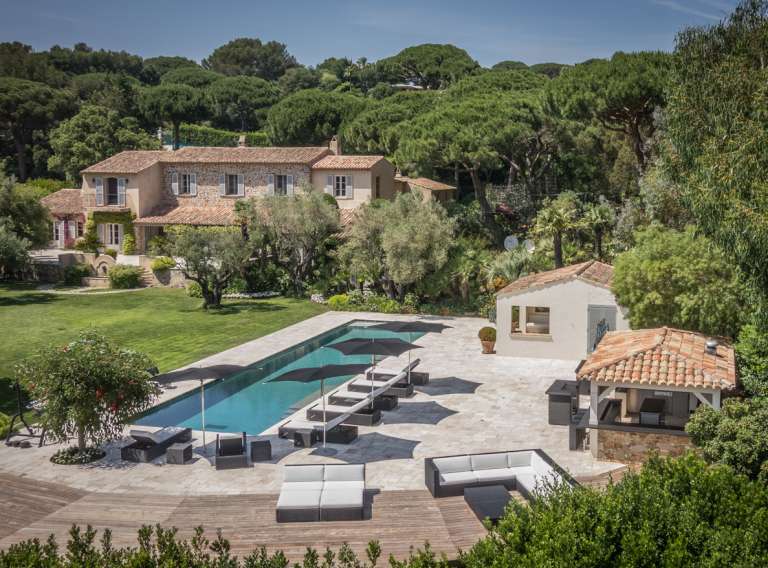 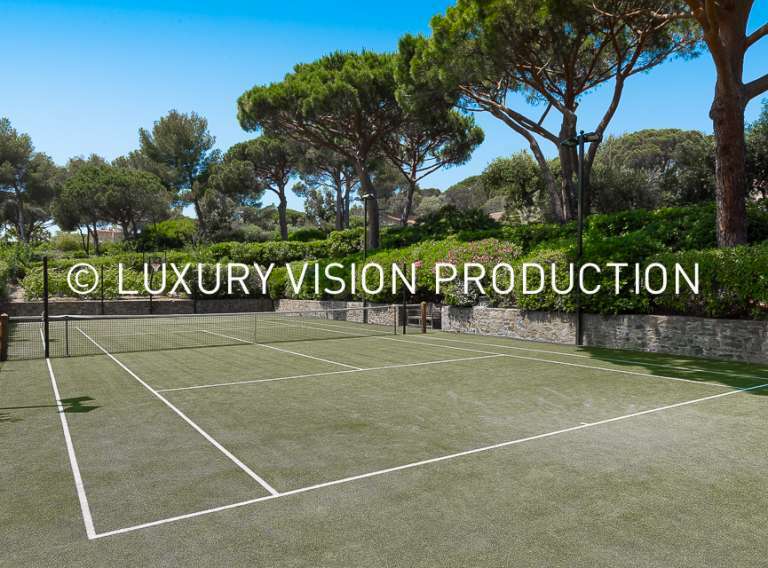 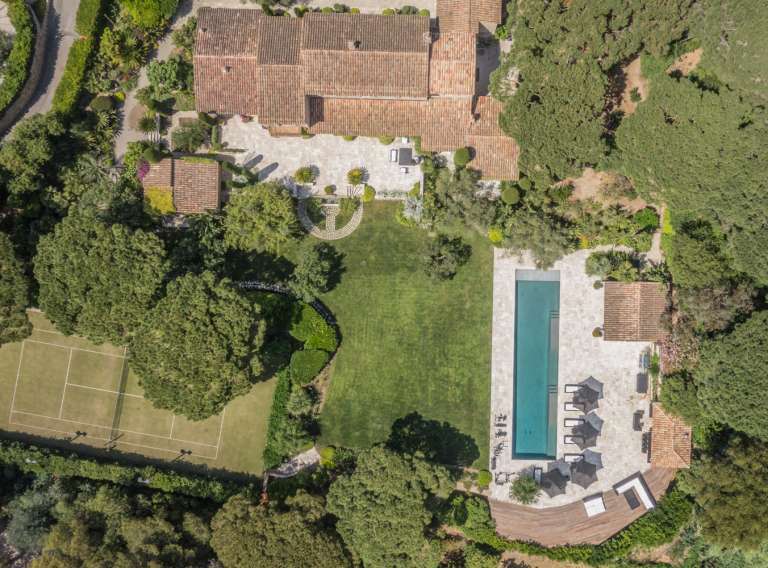 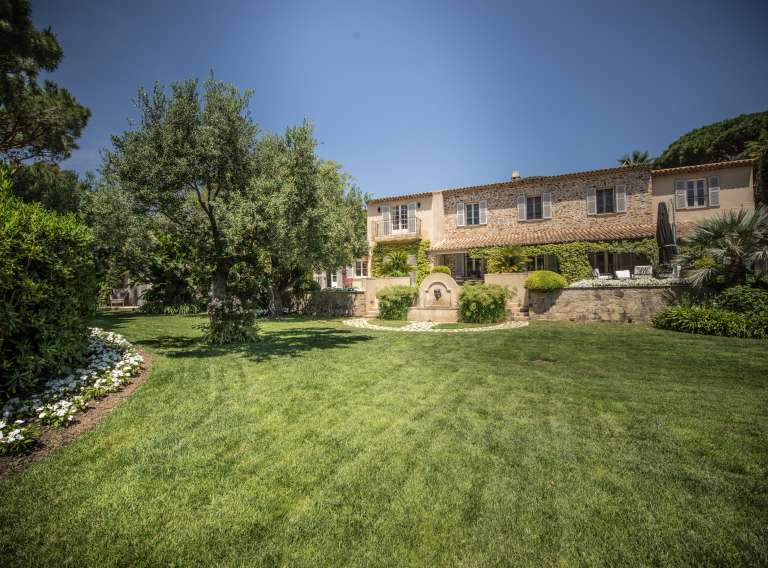 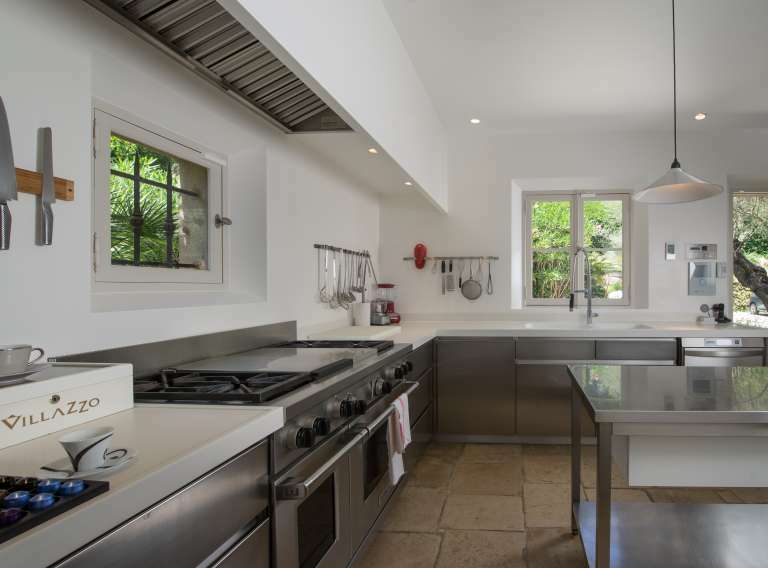 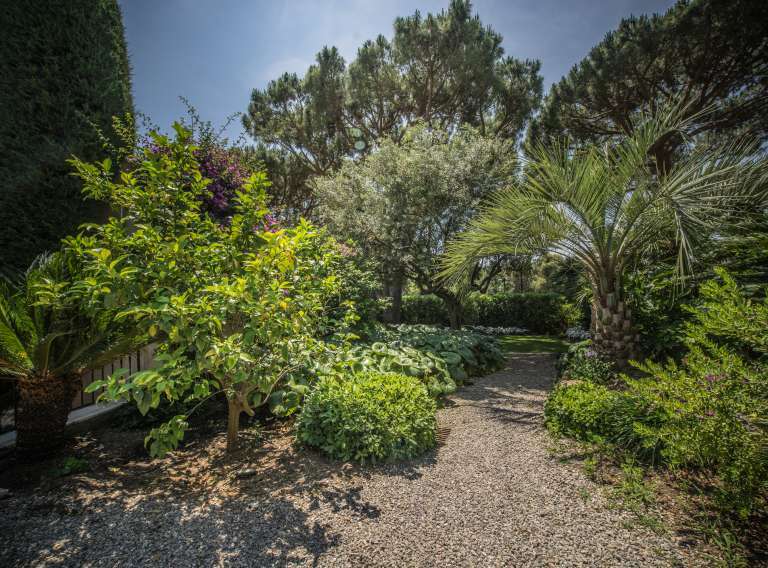 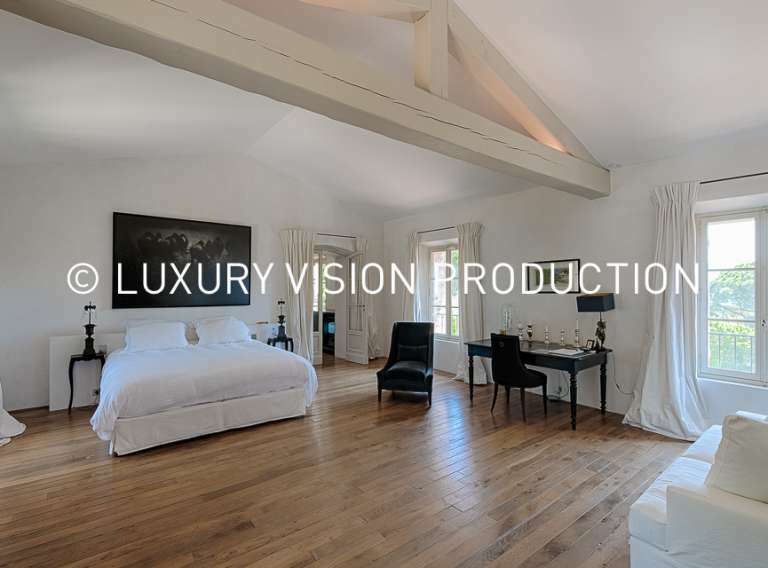 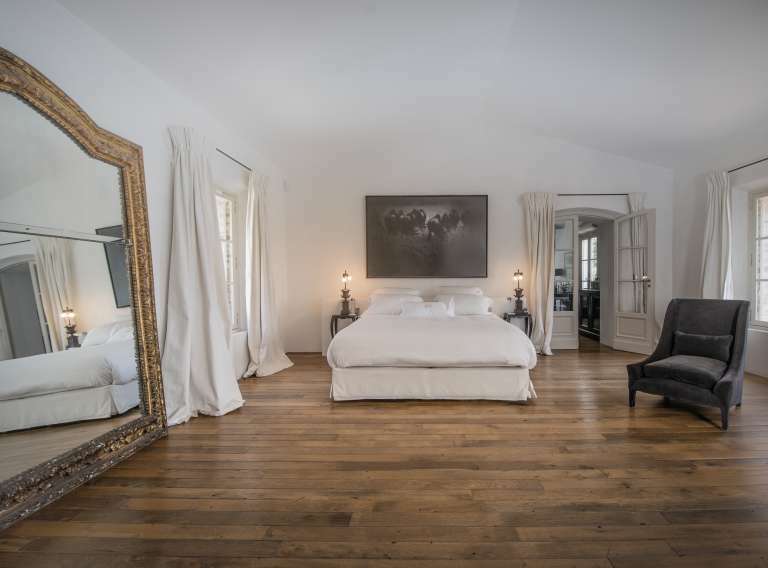 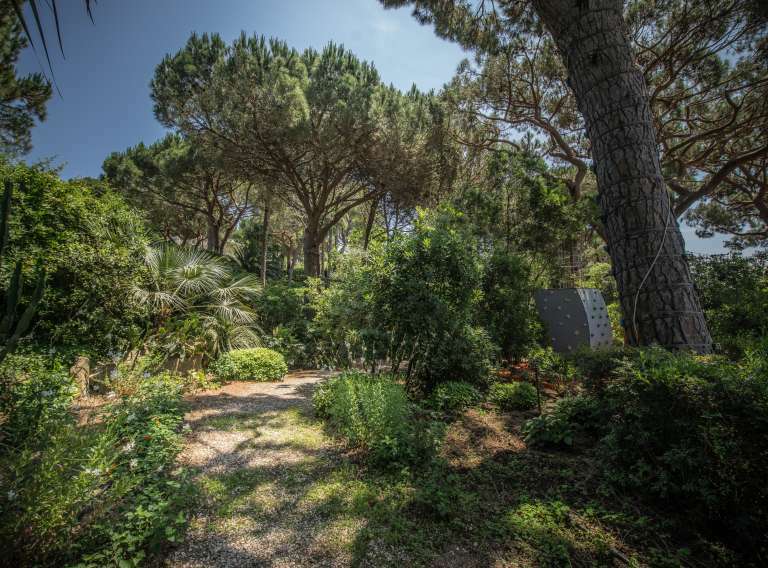 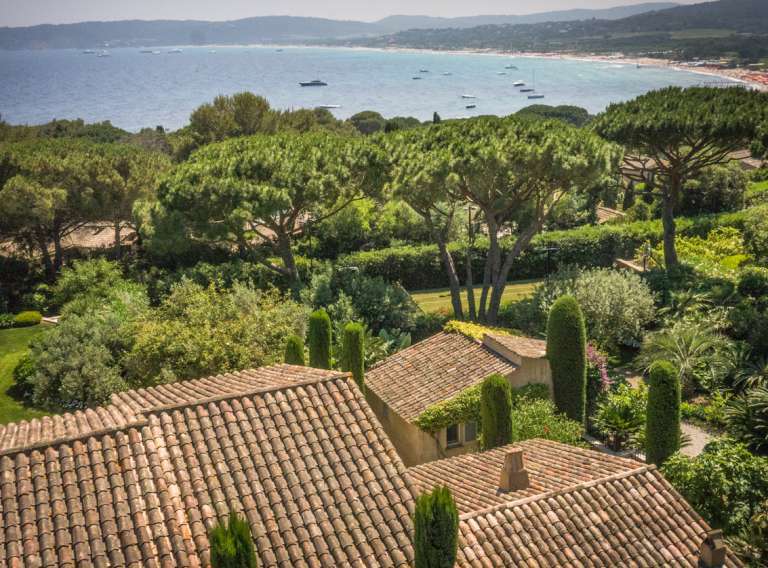 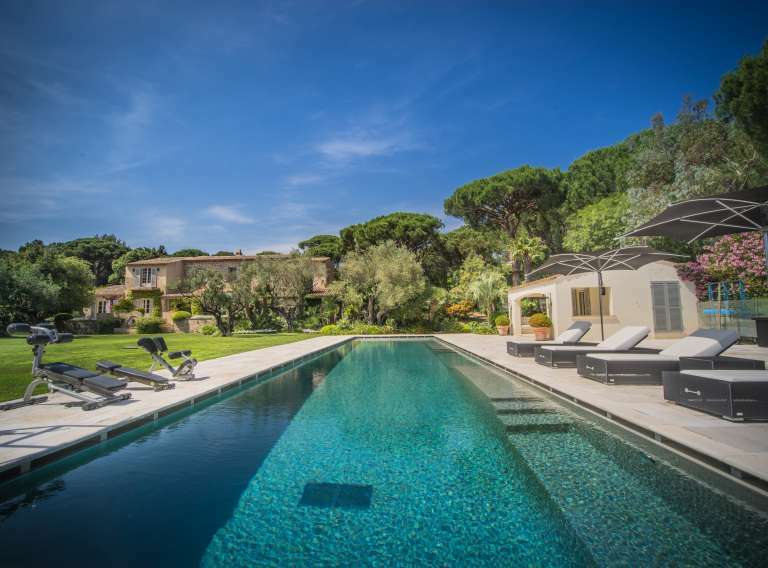 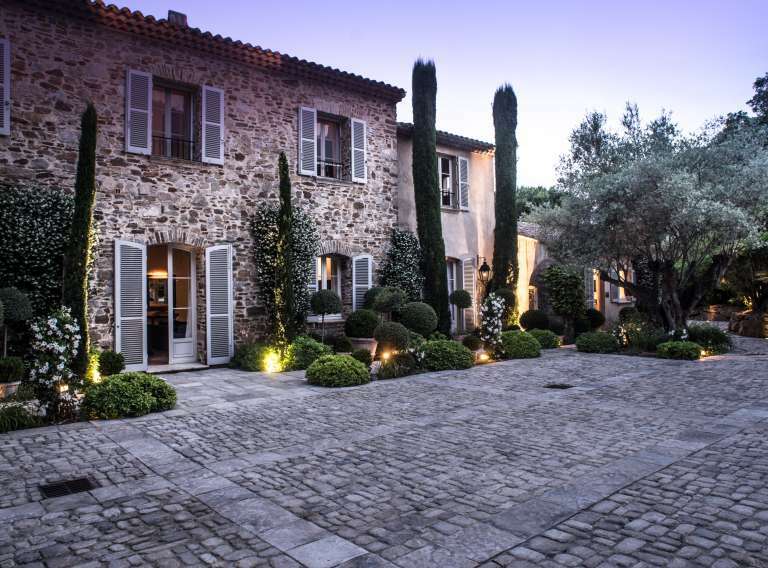 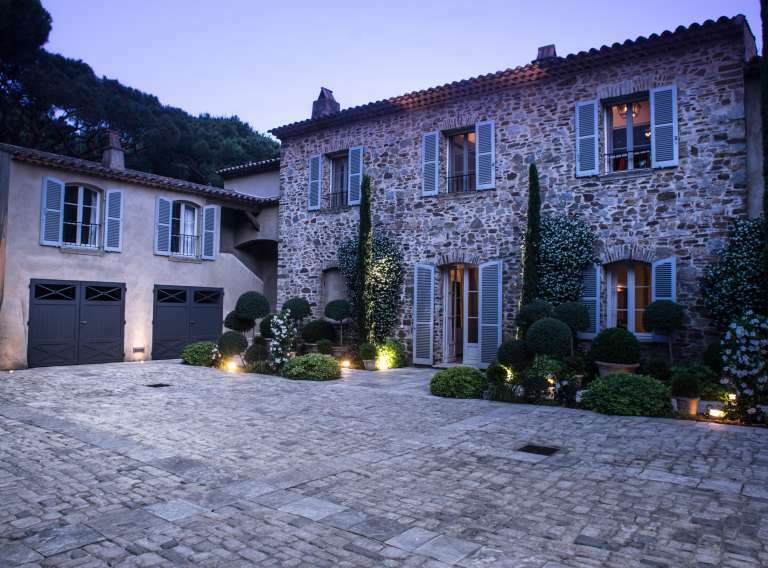 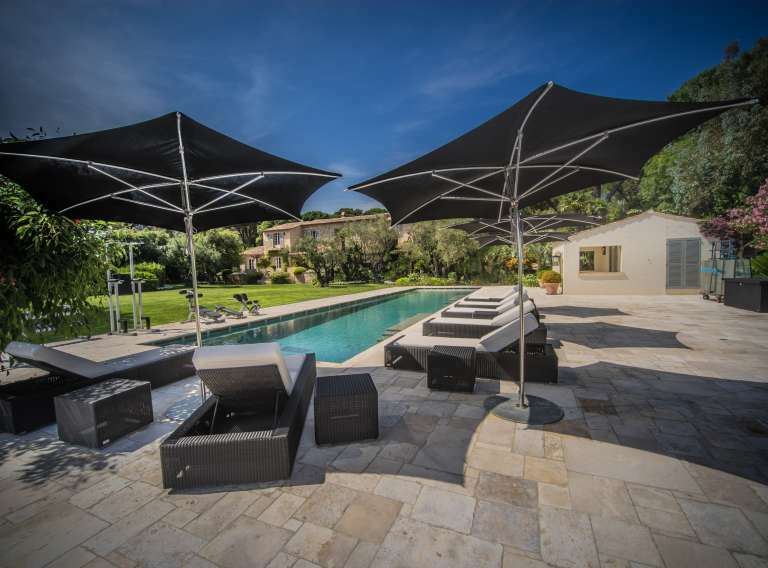 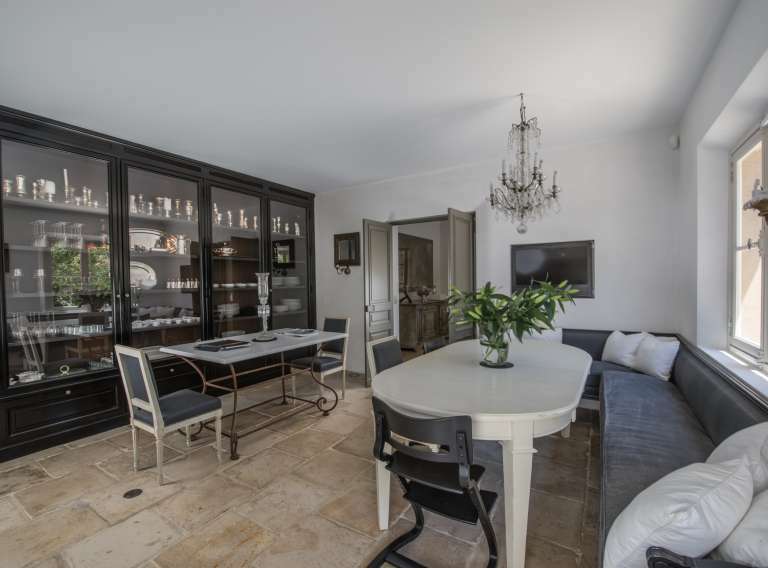 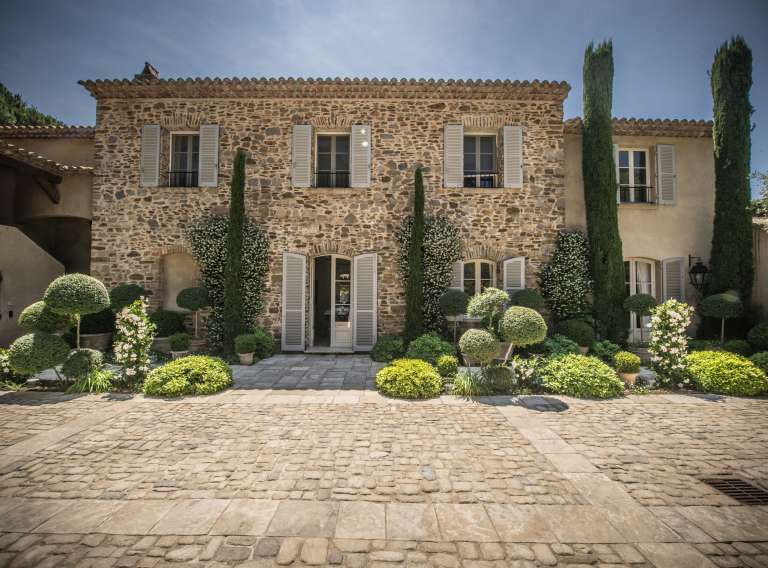 Located in the prestigious Domaine Le Capilla, only minutes from the amenities of Saint-Tropez village, this villa’s real appeal is its outdoor living environment. 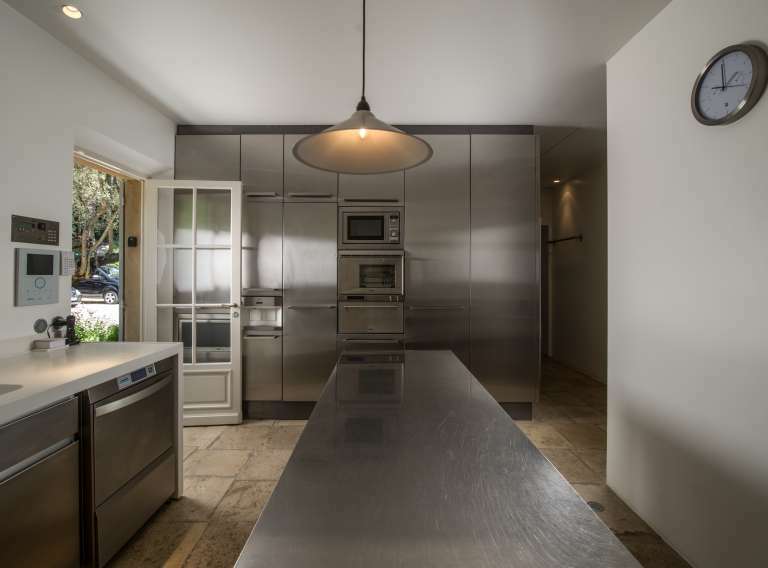 Prepare meals and dispense drinks at the covered outdoor kitchen/bar, jump in the sparkling pool and exercise poolside on the gym equipment. 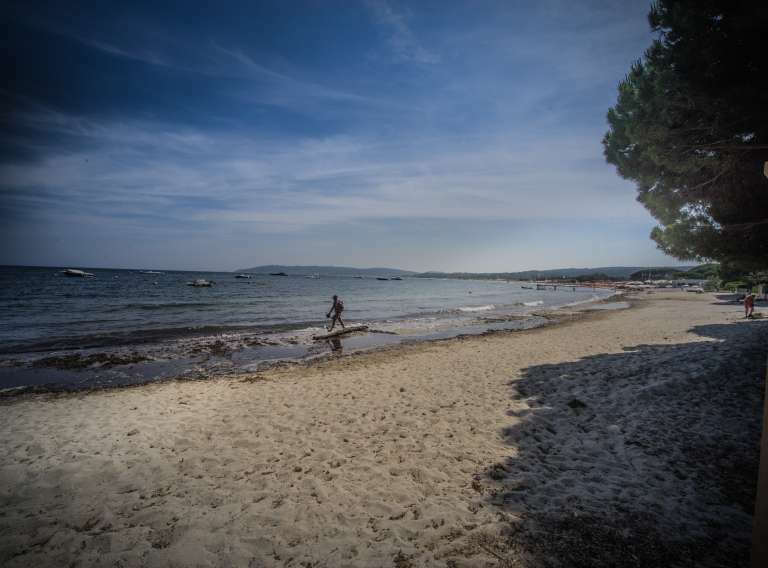 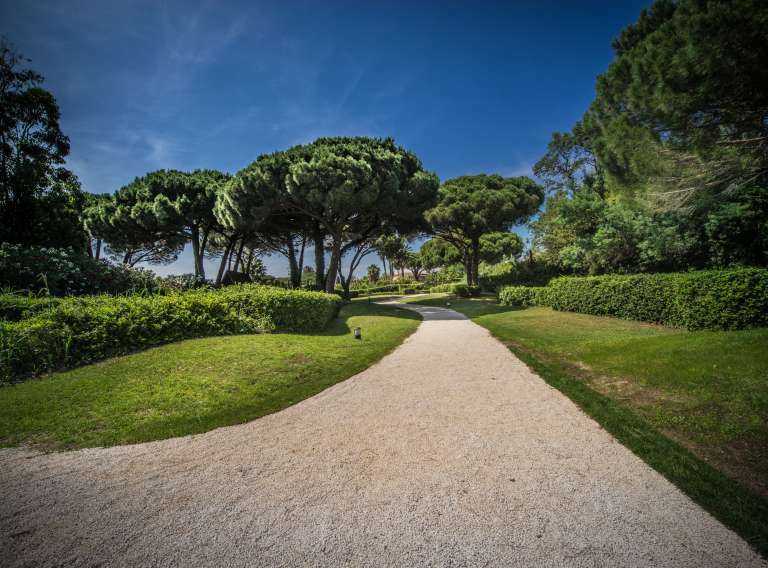 And best of all, the warm sea and a sandy beach are only a few minutes walk down a landscaped path.